A group of young black men sit and interact before our weekly art therapy group. Some laugh and share stories of their children and loved ones. Others put their heads down and are silent. They discuss and debate song lyrics and current events. One young man, freshly 18 years of age, bursts into laughter so deep, his eyes begin to tear up. He cannot wipe his eyes though because his wrists are handcuffed together. Those handcuffs are shackled to a small metal desk, which is chained to the floor. His feet are also chained together and shackled to the floor. This is the state of juvenile justice in the United States. When I first began working in custody as a graduate student of art therapy, I ignorantly thought that juvenile detention centers were different than the adult prisons and jails that I frequented. I was wrong. Juvenile detention centers incarcerate adolescents ages 13-17 and house “adult inmates” until they are 21. Juvenile detention centers are no different than adult prisons in their daily operation, physical structure or philosophy of detention. From my perspective, a more accurate name for such centers would be “child prisons.” More than 60,000 youths are incarcerated in these prisons on any given day. The majority of these young people are black. This does not include the numbers of children incarcerated at adult prisons. Many children are tried and sentenced as adults. Episode 8 of the new season of NPR’s Serial podcast takes an in-depth look at one such child prison in Cleveland. To think about therapeutic containment or the creation of a safe holding environment in the context of prison feels paradoxical at best. These young people are not safe in this environment, either physically or psychologically. Histories of trauma, coupled with the toxic stress and bigotry inherent to the prison system, often lead clients to feel utterly psychologically uncontained while completely physically restrained. This kind of harsh juxtaposition defines the clinical environment I work in. Weekly group art therapy is the only therapeutic support that my clients receive. Art therapy is one of four hours out of the week in which these clients are let out of their cells. Simply being in the presence of a group can be overwhelming to them. To open up too much emotional expression in therapy can be dangerous because these kids are left to cope by themselves. How then does a clinician establish boundaries and a contained, safe therapeutic environment in a context defined by walls, chains and fences? Walk beside and begin with the art. Walking beside clients in their therapeutic journey is to embody empathy. It is to see the clients as unique individuals while understanding the cultural and sociopolitical forces (racism, toxic masculinity and other forms of oppression) at work around them. It is to continually investigate my place in that oppression. It is to know and accept that my mere presence and vast privilege as a white, upper-class, free individual may be painful for clients. It is to be open to dialogue about our identities and to hold anger. It is to express my anger at the systems of oppression that shackle young people. Empathic embodiment is indeed visceral. I strive to walk beside these clients with my heart and, as clinical and liberation psychologist Taiwo Afuape writes, to have my heart broken. I work toward deep therapeutic attunement that allows me to experience the unbearable feelings of clients while remaining grounded. These feelings are simultaneously bearable and unbearable. I stand in the eye of the storm. This position allows me to support clients in the processes of identification, digestion and integration of feelings and experiences. We always begin with art making in sessions. The materials automatically become physical containers for emotions. The concrete nature of the art materials stands in opposition to the rampant, formless boredom of prison. 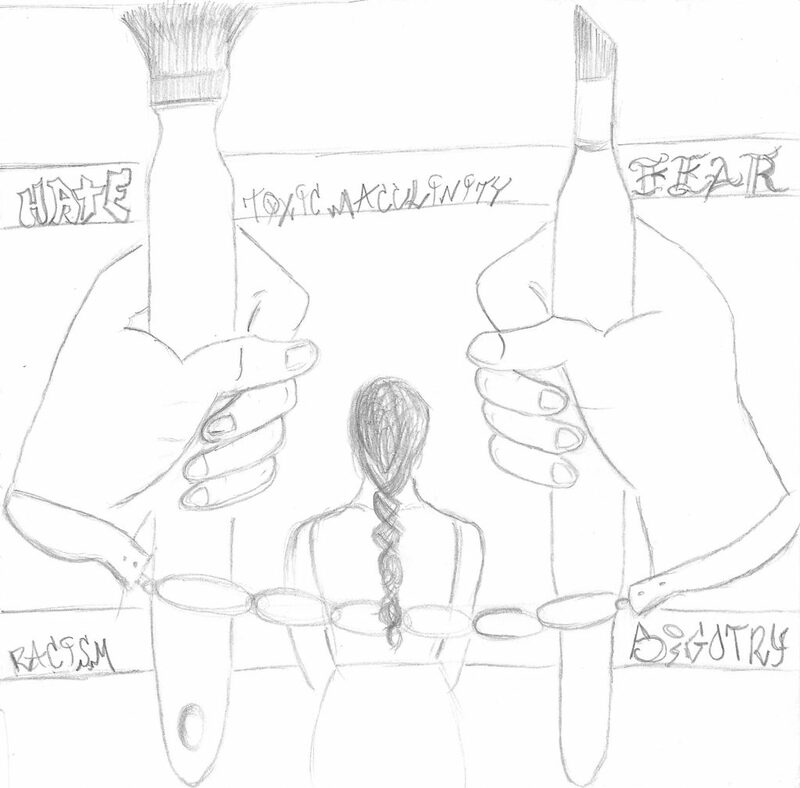 Art therapy interventions have a beginning and an end that is client directed, while time in prison is endless. The continual process of naming and deepening who you are in prison is indeed an act of peaceful resistance. To claim presence is to erode the stereotyped, bigoted treatment by the system. A drawing Erika Berger made to help her process her work with prisoners. I know our therapy is progressing when the art making begins to be inspired by the clients’ personal passions. It can take weeks or months of rapport building for clients to share their dreams and goals in therapy. Leading up to these passion projects are long hours of walking with clients through self-doubt, self-hatred, anger, depression, anxiety, fear and shame. Creative writing in the form of poetry, short stories and rap is common during these stages. It is a medium and coping mechanism with which clients are familiar and comfortable. Passion projects begin to subtlety shift the orientation of time from the present moment to the future, indicating growing resilience and hope. Clients are often more self-directed with these projects. As self-regulation increases, the use of materials generally shifts from two-dimensional to three-dimensional, reflecting a literal inner growth or expansion. Drawings, paintings and writings transform to creations such as folded paper boxes, sculpted figures and dynamic collages. In this place of creativity and visibility, we can approach pain with enhanced flexibility and perspective. In summary, fostering therapeutic containment in the prison setting is about holding steadfast to attunement and empathy. It requires looking our broken justice system in the eye and allowing our hearts to be broken. Remain grounded in this brokenness and always stay connected to each individual client’s uniqueness, creativity and inner light. Erika Berger is a recent graduate of Pratt Institute’s master’s degree program in art therapy. For the past two years, she has worked to create and implement clinical art therapy programming in western North Carolina prisons. Prior to becoming an art therapist, she was a bilingual special education teacher in New York City public schools. Contact her at Erika.wallace.berger@gmail.com. Working memory is an essential cognitive skill that allows an individual to learn through the processing and manipulation of information. In other words, working memory is the process through which information is manipulated and then linked to other existing memories. A wealth of research has investigated the capacity of working memory in children. Working memory is different from short-term memory, which simply stores pieces of information for a limited period of time. Working memory allows an individual to maintain information for use in intricate tasks such as higher-order thought, organization and planning, and language comprehension. Working memory also enables children to perform several important functions, including learning new information, comparing and contrasting different concepts, and making informed decisions. Working memory capacity is dependent upon a number of abilities, including attention, behavioral control and cognitive flexibility. Attention is an individual’s ability to focus on a given task while blocking out distractions and other irrelevant information. Behavioral control is the ability to manage one’s impulses and emotions. Cognitive flexibility is the capacity to adapt to feedback and evolving needs. Children affected by working memory deficits may experience a host of academic, behavioral and emotional issues. The deleterious impact of working memory deficits on academic achievement is apparent in students, from those entering preschool to young adults in college. These impairments may be even more pronounced among children who are affected by various problems related to mental health. Deficits associated with working memory can negatively impact how a child navigates all areas of life, from academic performance to social interactions. As such, children’s mental health professionals should become familiar with working memory deficits and their impact on day-to-day functioning. Increased awareness and understanding of these problems will help professionals maximize the effectiveness of services provided to these children. To that end, this article reviews multiple considerations related to working memory that all children’s mental health clinicians need to know. Academic performance: In children, working memory has been linked to everything from academic performance to the symptoms of neurological, developmental and psychological disorders. Working memory is also important from kindergarten to the tertiary level, and is an excellent predictor of academic success, longitudinally. Assessment: Working memory can be assessed in a reliable and valid manner in children as young as 3. Early identification of working memory deficits that are supported by appropriate interventions can lead to positive outcomes throughout the individual’s life span. A study of more than 3,000 students found that approximately 10 percent had working memory problems that led to learning difficulties in the classroom (see ncbi.nlm.nih.gov/pubmed/19467014). As such, early identification and intervention are key to long-term success. Attention, behavioral and social problems: Several theories of cognitive processing posit that working memory plays an essential function in attention. In addition, deficits associated with working memory can sometimes contribute to problematic behaviors resulting in school-related and social consequences. This is especially the case when the child has not been properly assessed, treated and supported. One of the most consistent findings in research studies is that students with attention-deficit/hyperactivity disorder have poor working memory, particularly when they have to remember visual information, such as graphs or images. Classroom difficulties: Working memory impairments often contribute to difficulties in the classroom. For example, students with working memory impairments may have trouble remembering instructions, completing complicated tasks, and comprehending and abiding by directions to solving a math problem or writing a sentence. Creativity: Although relatively few studies have investigated the role of working memory in creativity, Larry Vandervert and colleagues have posited that working memory is one of the building blocks of creativity (see tandfonline.com/doi/abs/10.1080/10400410709336873). Their rationale hinges on the assumption that working memory serves as the “blackboard of the mind,” enabling an individual to manipulate and combine a variety of pieces of information and ideas in different ways. A study with college students reported that working memory was associated with one particular aspect of creativity — flexibility, which relates to breadth of thinking. Environmental considerations: An important consideration for children with working memory deficits is limiting their exposure to environments and influences that could exacerbate such issues. 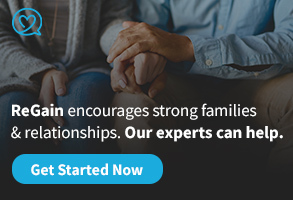 These issues may include exposure to caregivers who abuse substances, neglect and maltreatment, and environments filled with chaos and chronic stress. Importance of early identification: Working memory deficits in preschool may predict the likelihood of dropping out of high school. However, some research offers hope for the development of early interventions that strengthen working memory and the reduction of risk for dropping out of high school. Information overload: Deficits in working memory can result in children experiencing information overload during learning-based activities. As a result, these children may act out behaviorally or withdraw socially. When misidentified or undertreated, these issues can negatively affect children’s emotional and behavioral health. Intervention: Interventions that improve working memory hold the potential to positively benefit children’s classroom performance across a range of subjects (see ncbi.nlm.nih.gov/pubmed/20018296). These gains were maintained eight months later (see sciencedirect.com/science/article/pii/S0747563212003032). As such, children’s mental health providers play a vital role in the identification and treatment of working memory deficits. Learning performance: Problems meeting the learning requirements of school may be attributed to deficits in working memory. Working memory predicts reading and math performance among students with learning disabilities. These associations remain even when controlling for the student’s intelligence and knowledge of language and math. These issues can persist across the child’s life span when such deficits have not been identified, treated and supported. Learning styles: A prevalent argument in the education research community is that learning styles have a significant influence on how well students will do in school. The learning styles theory argues that individuals learn best in different ways. A popular framework for learning styles is one that separates Verbalizers from Visualizers, and Holistic thinkers from Analytical ones. A study with high schoolers found that students with good working memory excelled at all subjects, regardless of their learning style preference. One explanation is that although students may have a certain preference for acquiring knowledge, those with good working memory won’t be held back if information is not presented in their preferred learning style because they can adapt their learning style to different learning situations. Note taking: The inability to remember several manageable pieces of information while performing another task such as taking notes on a lecture is an example of a working memory deficit. This can present challenges in group treatment settings in which participants are required to take notes while listening to a live lecture. Problem-solving: Enhanced working memory capacity can result in improvements in the ability to learn and to solve problems. When working memory is impaired, decision-making and problem-solving abilities can be negatively affected. Treatment providers should consider screening clients for working memory impairments when decision-making and problem-solving abilities are impaired. Theory of Mind: Theory of Mind (ToM) is the skill to appreciate that the conduct of others is motivated by their opinions, wishes and other mental states. The maturation of ToM has been linked to the cognitive development of both behavioral control and working memory. Working memory has also been linked to false belief and verbal deception in 6- and 7-year-olds. Thought suppression: Research suggests that working memory could play an important role in the suppression of unwanted or obsessive thoughts. As such, helping children strengthen their working memory capacity should be considered when providing supports and services to individuals struggling to cope with such thoughts. Trauma: Working memory deficits have been observed in individuals suffering from posttraumatic stress disorder (PTSD). In particular, common PTSD symptoms such as hypervigilance, reliving trauma memories and avoidance of reminders of trauma may interfere with working memory processes. Underidentification: Despite the previously mentioned consequences, working memory deficits often go unrecognized and untreated in children’s mental health settings. In some instances, professionals may misinterpret working memory impairments as issues with behavior, impulse control and attention. In a survey of classroom teachers, most knew what working memory was but were able to correctly identify only one or two classroom behaviors associated with working memory deficits. Understand: Professionals should strive to understand the potential consequences associated with working memory deficits in children. Exploration of how working memory deficits may affect academic, emotional, social and interpersonal capacities is of significant importance. Children’s mental health treatment providers should consider incorporating working memory screening and intervention strategies into their clinical programming. Deficits associated with working memory can have profound and diverse impacts on children. Mental health providers are likely to encounter children on a regular basis who are affected by working memory deficits. To minimize the consequences of working memory deficits, clinicians should become more familiar with the implications these problems have on screening and assessment, treatment and educational outcomes, and social functioning abilities. We highly recommend advanced training in working memory for professionals who provide children’s mental health services. Jerrod Brown is an assistant professor and director of the master’s degree program in human services with an emphasis in forensic behavioral health at Concordia University in Minnesota. He has also been employed with Pathways Counseling Center in St. Paul for the past 15 years. He is the founder and CEO of the American Institute for the Advancement of Forensic Studies and editor-in-chief of Forensic Scholars Today and the Journal of Special Populations. For a complete list of references used in this article, contact him at Jerrod01234Brown@live.com. Tracy Packiam Alloway is a TEDx speaker and an award-winning psychologist. Her research has contributed to scientific understanding of working memory, specifically in relation to education and learning needs. Her research has been featured on or by Good Morning America, Today, Forbes, Bloomberg, The Washington Post, Newsweek and others. Superheroes have a profound influence on American culture. Recently, Marvel Comics’ Black Panther came to life on the movie screen. It appears the movie had a twofold impact. First, it brought heroic life to a seemingly little-known character. Second, unlike most other big-screen superhero movies, Black Panther placed value on social consciousness, awareness, community, family and pride. It broke boundaries that went beyond simply box-office sales, introducing a male of presumably African descent as the superhero. During the movie’s opening weekend, many news outlets showed young African American children wearing their dashikis as a symbol of pride in the African ancestry depicted in the movie. As a culture, we hold our superheroes in high esteem, even if they are fictional characters. Thanks to Black Panther, many African American boys can identify with a superhero for the first time. This experience has likely heightened the imaginations of many African American boys as they imitate characters from Black Panther in their play. Escaping to the imaginary worlds of our superheroes seemingly has therapeutic powers. Author and blogger Remez Sasson describes imagination as the mental ability to formulate an image that is not tangible through our five senses. For young children, an even deeper escape possibly occurs when watching these types of movies. The imagination is a powerful tool for children, as reported by Patti Teel in Pathways to Family Wellness magazine. When children imagine, they can visualize their heart’s desire, thus welcoming it into their reality. The therapeutic power of imagination is also evident in various therapy practices, specifically play therapy. 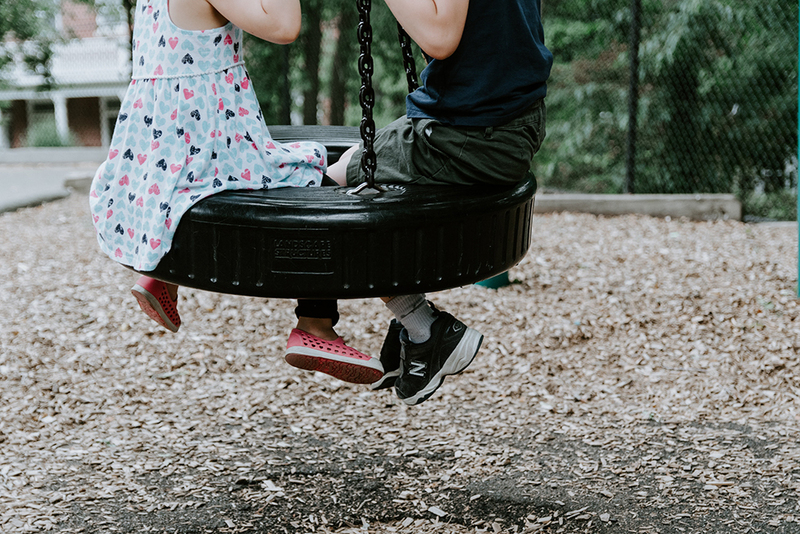 According to “Helping a Child Through Play Therapy” by Jane Framingham, adults mistakenly think that child’s play is solely for fun and games or to occupy time. Unbeknownst to these adults, through creative and imaginative play, children are developing cognitively and emotionally while improving their self-worth, positive self-image, and communication and coping skills. For those reasons, play can be therapeutic in helping children overcome challenges that might inhibit developmental growth. To tap into children’s imaginations and gain deeper understanding of their problems, play therapists are reaching beyond traditional play therapy tools such as sand trays, crayons, paints, animals, toys and dolls. Technology appears to have revolutionized the art of play therapy, thus making it easily accessible to counselors. This can be especially important for school counselors, who work in settings in which the counseling process is often limited because of the other administrative duties assigned to them. Technology-based programs such as Marvel’s Superhero Avatar Creator and DC Super Friends Super Hero Creator represent the infusion of electronic media into play therapy. Based on “The iPad Playroom: A Therapeutic Technique” by Marilyn Snow and colleagues, the infusion of technology increases the imagination and creativity of the child by allowing the child to create media, pictures and other artwork while the therapist is present, either in conjunction with or separate from the therapist. For example, many applications are available to aid children in fueling their imaginations to create family dynamics or events through drawing and colors that possibly hold symbolism to their presenting problems. This invites the opportunity for metaphors to help solve real-world problems. This method of integrating superheroes through a technology approach in play therapy potentially could be an ideal therapeutic method of working with children, especially African American males, in the school setting. It appears to offer a nonintrusive approach for getting students involved in counseling because it integrates technology and play without asking probing questions. As former school counselors, we have been disturbed by the alarming rates of African American boys being suspended because of perceived aggressive behaviors. Through our lenses, we have seen many of these students struggling with low-self-esteem or low self-worth. Ironically, sometimes these issues are not apparent through traditional presentations such as withdrawing or isolating. The adjustment between school and family cultures has proved problematic for African American males regarding understanding their importance and worth. This likely causes tension in the school setting, resulting in aggression. These adjustment issues, or inability to navigate from one situation to another, is better known as code-switching. Eric Deggans, in “Learning How to Code-Switch: Humbling, But Necessary,” describes code-switching as beyond the exchange of two languages in a conversation. But in today’s diverse society, the term’s deeper meaning is shifting between different cultures to move through life’s conversations. Deggans, an African American man, implies that code-switching is an essential tool for African Americans to adjust culturally. Therefore, African American males are expected to recognize one set of rules in one setting and understand another set of rules in another setting while maintaining their identity. We have sought to address these adjustment issues with our African American male clients through the use of play therapy methods. Using the power of imagination in play therapy allows them to foster development and problem-solve issues that have been hindering their overall academic and emotional growth. 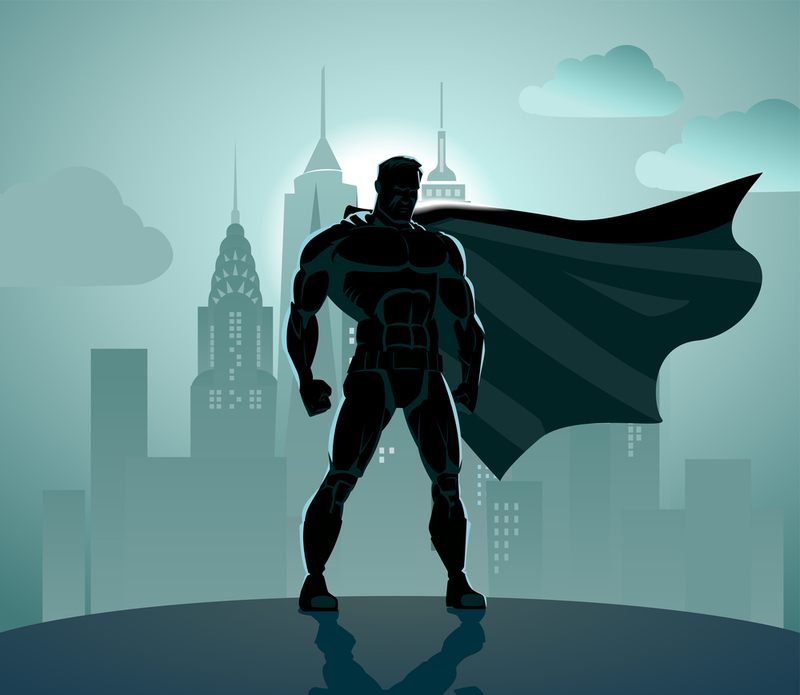 In one case, Marvel’s Superhero Avatar Creator was used with an African American male student who was having adjustment issues at school that produced aggressive behaviors both at school and at home. Although the nature of the school setting did not permit long-term therapy, this short-term approach showed significant positive results. This student created a superhero avatar over the course of four sessions. During the creating phase, the student used his imagination to create a creature that had similar features and skin color to his own, thus solidifying the importance of identity and connection to the creature. Allowing the student autonomy in creating his creature aided in establishing the therapeutic relationship. The student was able to arrange the way therapy was directed as the therapeutic relationship was established. Through the various stages of play therapy, from gaining insight to reorientation or reeducation, the therapeutic process became a playground in which the student could live out his imagination through his superhero in a way that was vivid and emotionally alive. This experience paved the way for deeper understanding of how the student perceived his school family in relation to his peers, faculty and staff, and his actual family. Through incorporation of a client-centered approach to play therapy, this student showed significant growth in his overall development and was thus able to transfer those skills (i.e., code-switching) between school and family relationships. Once significant progress was made with the student, his parents were incorporated in one play therapy session. The student’s father decided to create a superhero avatar to bring life to his perceived role as the family protector. In retrospect, through this play therapy family activity, the father could see how his family viewed his role and their individual roles within the family. The play therapy sessions, infused with the technology of creating superheroes, helped the student use his imagination to bring to life his own unique story and identity. In superhero stories, superheroes conquer their adversaries while overcoming their adversities. The ending of this student’s story depicted similar results. This form of play therapy is a nonintrusive method that renders promising results by not asking direct questions, but rather allowing students to self-express through play. As such, we do not believe that the traditional mode of counseling would have achieved the same impact on this child’s growth and development. This lends support to the importance of expressive therapy for children, particularly African American boys. Expressive therapies can help children find their voices, especially through play-based techniques using superhero avatars. 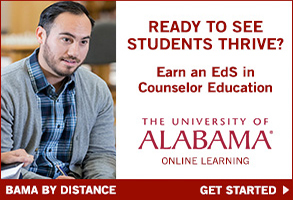 Jetaun Bailey, a former school counselor, is a certified school counselor, a licensed professional counselor supervisor and an assistant professor at Alabama A&M University. Contact Jetaun at Jetaun.bailey@aamu.edu or baileyjetaun@hotmail.com. Tonya Davis, a former school counselor, is a nationally certified school psychologist, a licensed professional counselor supervisor and an assistant professor at Alabama A&M University. Related reading: See the upcoming September issue of Counseling Today magazine for an in-depth cover article on play therapy. My knowledge about the performing arts community comes from many years of personal experience. I became a counselor after working as a professional musician and an occasional actor since the late 1970s. I have played, toured and recorded as a jazz and pop musician. I have also performed in theatrical pit orchestras for many national tours and local productions here in Chicago. I am trained in the acting methods of Sanford Meisner and have worked onstage and appeared in independent films and commercials. As a counselor, I have been fortunate to work with a diverse cross section of artists, combining my counseling training with my intimate knowledge of the music and theater business. Even so, my clients have been my best teachers. In my view, performers are an underserved clinical population worthy of serious consideration by more counselors. There are, after all, many more actors, dancers and musicians who need counseling than there are clinicians who used to be performers. Life onstage is analogous in many ways to life as an athlete. The performing arts and sports are inherently stressful professions because of the high expectations of both the audience and the people who have the power to hire and fire. Success in both fields depends on a lifetime of training and constant vigilance, both in maintaining awareness of one’s self in relation to the work and in maintaining one’s skills. Although a great deal of research and attention have been focused on sports physiology and psychology, relatively little clinical attention has been paid to performing artists. The few books available on the subject are largely outdated, and the scholarly literature is scant. Hopefully, this situation will improve in the near future. What are the life factors that distinguish performers from other individuals who make their way to our counseling offices? It is useful to discuss this population using several contexts: developmental, career, performance-related and societal. Each context has both case conceptualization and treatment factors. Many performers began their training as young children. Some can barely remember when they began to exhibit signs of talent. They may have been singled out as “special” among their siblings or classmates if they showed an aptitude for singing, playing an instrument or dancing. Counselors should pay particular attention to these clients’ attachment issues with both parents and teachers. Were caregivers supportive or resistant to their child’s talent? Did the client feel encouraged, pushed or dismissed in relation to his or her natural abilities? Was the child considered a prodigy? Did the parental emphasis on performing distract from focusing on social and emotional development? Many artistically gifted children display a poise that is easily mistaken for emotional maturity. As a result, the normal childhood needs often are either ignored or derided as “childish.” The prodigy label often comes with potentially unhealthy complications, given that 3- and 4-year-olds are incapable of making life-altering decisions for themselves. Early teachers of these children may have been supportive and loving or harsh and critical. For many young performers, competition for coveted positions can be intense. Children are keenly aware of the talent/skill hierarchies. Were they chosen for the best parts or overlooked? Did they land spots as lead actors in plays, prima donnas in the opera, first-chair players in the orchestra or principal dancers in the ballet? If they are relegated to secondary roles, some children feel that they have somehow failed. This can have repercussions when similar situations occur in their adult lives. All of these factors play major roles in the personality development of performers. Young children who demonstrate a natural affinity for a certain area of performance are vulnerable to overidentifying with their talent. 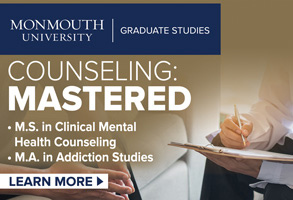 Counselors need to be aware that a client’s degree of healthy narcissism may be directly linked to his or her perceived level of artistic ability. Besides being treated as special and having to compete, young performers can become socially isolated and lead a very unbalanced life that consists almost exclusively of developing their artistic gifts at the expense of emotional and interpersonal growth. This can become problematic later in life, if and when the client realizes that there is more to life than performing. And in relationships, there is a risk that performance can substitute for genuine intimacy. A performing artist’s career trajectory is often short and always unpredictable. Unlike in many other professions, there is no clear-cut path to professional success or advancement when you act, play, sing or dance for a living. No amount of natural talent or advanced training can predict success with any reliability. Talent or skill may not matter nearly as much as happenstance, luck or physical appearance (principally for actors and dancers). Although things seem to be changing incrementally, considerable racial and gender bias still exist in casting. With the dearth of acting and dancing parts for women over 35, it is difficult for women performers to sustain a career much past that age. Issues related to stereotyping and appearance aren’t that much easier for men. In addition, the ability to earn a living is quite limited for most performers. For example, in 2008, The New York Times reported that only 5 percent of Screen Actors Guild-American Federation of Television and Radio Artists members earned at least $75,000 annually. Actors’ Equity Association, the union representing the world of live theatrical performance, reported that during the 2013-2014 theater season, only 9 percent of its members earned more than $50,000. On average, just over 13 percent of unionized actors were working in any given week that year; their median annual income was $7,463. According to HuffPost, in 2012, the Future of Music Coalition estimated that full-time musicians earn an average of about $34,000 per year. It is crucial for counselors to recognize these professional limitations for people in the performing arts and to keep them in mind as we would for any kind of cultural context. People in show business expose themselves to some of the most physically and psychologically stressful conditions on an everyday basis. Auditioning, rehearsing and performing require intense concentration, focused energy, strong self-confidence and years of preparatory work. Work hours can be extremely demanding. Knowing that a hundred people are waiting in line behind you to take your job if you falter is nerve-wracking. For these reasons, performers are at risk for anxiety, loss of motivation, difficulty concentrating, burnout, physical injuries, low self-esteem, poor emotional regulation, sleep disruption and crises of confidence and identity. Because most performers work as members of an ensemble, there can be difficulties with group dynamics or conflicts with co-workers with whom they may be living or traveling. In addition, the “instant intimacy” that can develop between members of a cast can sometimes pose challenges to the stability of relationships outside of the ensemble. Anxiety and depression are common complaints among performers, just as they are for the general population. However, recent research suggests that the prevalence of both mood disorders is much higher among artists. The Australian study found evidence that performers are 10 times more likely to suffer from anxiety and five times more prone to depression. Likewise, they are three times more likely to experience sleep disorders. Performing artists have higher rates of suicidal ideation, planning and attempts; their abuse of alcohol and other substances is also significantly greater when compared with the rest of the population. In other words, this population is at higher risk for suicidal behaviors regardless of other factors such as age, gender and substance abuse. Despite the performing arts contributing so much to the enjoyment and enrichment of people’s lives, performers are often treated as if their work has remarkably little value (with the exception of the tiny subgroup of the most popular and famous individuals). Due to the nature and intensity of the commitment that a life in the arts requires, performers tend to identify very strongly with their work. If an artist’s work is subject to the uncertainty and devaluation described in the study, then that person’s identity is at risk. As noted earlier, earning a living wage from performing is difficult for the majority of artists. As is the case for any client whose income is below average, artists are more vulnerable to the societal biases against people who aren’t comfortably middle class, don’t have health insurance or lack a high credit score. Art often serves society by expressing cutting-edge ideas, including criticism of the status quo. This artistic purpose is often undertaken by people who are most impacted by racism, sexism, genderism, ableism, etc., and who make up a substantial portion of the artistic community. Societal marginalization can contribute significantly to myriad therapeutic issues. Although performing can serve as an emotional outlet for minority populations, the extent to which their ability to express themselves publicly improves their mental health will vary from person to person. It almost goes without saying that performance anxiety (aka stage fright) is often the issue that brings people in show business into the counseling office. Many performers experience stage fright before every show. Famous sufferers include Laurence Olivier, Scarlett Johansson, Ella Fitzgerald, Adele, Pablo Casals, Mikhail Baryshnikov, Vladimir Horowitz and Renee Fleming. But for many artists, auditions provoke the most anxiety. Auditions present a perfect storm of conditions almost guaranteed to induce performance anxiety in even the most seasoned artists. There is a saying among actors: “Auditioning is your vocation; working is your vacation.” Anxiety before and during auditions arises from the belief that a negative judgment of one’s performance equates with humiliation, embarrassment or personal rejection. Actors face this kind of scrutiny each time they read for a role; rejection is a normal facet of life for them. Perfectionism is another anxiety-related malady that may surface in counseling sessions with performers. It may present in conjunction with excessive procrastination, practice or rehearsal avoidance, guilt, anger, self-criticism or blaming others, eating disorders and suicidal ideation. As pointed out in Robert H. Woody’s 2015 Psychology Today blog post titled “Perfectionism: Benefit or detriment to performers?” some performers exhibit narcissistic traits that may be associated with perfectionism. Although certain myths persist about the prevalence and glorification of drug use among performers, substance abuse is a real problem for many actors, dancers and musicians. The combination of high stress, employment uncertainty, low income, inaccessible health care and easy availability of alcohol and other mood-altering substances results in a higher-than-average probability that these clients may be affected by substance abuse and addiction. During intake, counselors should assess for drug and alcohol use, particularly with clients who present with anxiety or depression. Social isolation, chiefly among musicians, is another common issue. Young people with musical talent, especially those singled out as prodigies, must spend many hours a day practicing their craft. In some cases, this single-minded approach, though perhaps necessary for achieving virtuosity, can lead to social anxiety, poorly developed social skills and difficulty forming intimate relationships. Adult performers who present with social anxiety may have long-established patterns of self-isolation resulting from intensive practice regimens begun in childhood. For a deeper understanding of these issues, I highly recommend Andrew Solomon’s chapter on prodigies in Far From the Tree: Parents, Children and the Search for Identity. Many performers, and artists more generally, are what Elaine Aron calls “highly sensitive people” or HSPs. They tend to be aware of subtleties in their environment and are likely to have rich and complex inner lives. Although such sensitivity can be a real advantage in their chosen profession, our culture, unfortunately, has little tolerance for highly attuned or easily overwhelmed individuals. They are often thought to be overly fearful, inhibited or neurotic. Although some HSPs may exhibit these traits on occasion, they are not inherent characteristics of this personality type. The majority of the people in the lives of HSPs may find them difficult to understand because of their sensitivity, their inability to relate to other people and so on. High sensitivity may open another pathway to the mood disorders and social isolation often seen in this population. Aron’s research on HSPs is invaluable with regard to performing artists. Finally, it would be remiss not to mention the controversial relationship between mental illness and artistic talent. There are those who contend that a direct correlation exists between creativity and the prevalence of bipolar and schizoaffective disorders among artists. Kay Redfield Jamison makes a strong case for this link in her book Touched With Fire: Manic-Depressive Illness and the Artistic Temperament. Contemporary neuroscience has produced evidence both supporting and contradicting this point of view. Performers are often perceived to be more narcissistic than are members of the general public, although no real evidence exists to suggest that narcissistic personality disorder is more common in this population. Counselors should be aware of their own biases in this regard while maintaining an open mind about the possible presence of mental illness and personality disorders in their artistic clients. Performers will challenge counselors in a variety of ways. Some may treat their therapy hour as a kind of performance. Actors are notably accustomed to impressing and entertaining strangers, so they may initially prefer to hide their vulnerabilities behind a veneer of cheerfulness (despite having perhaps complained of terrible anxiety when calling to make the appointment). Some members of this population may see you as an authority figure, akin to a “stage mom” or a demanding teacher or director. Monitoring these kinds of transference possibilities is essential to creating a strong therapeutic alliance and allowing your work to proceed productively. Likewise, it is crucial to pay attention to your own countertransference. How are the clients’ projections influencing you? Is their charm or likability getting in the way of accurately assessing their therapeutic needs? Some performing artists have a difficult time expressing themselves verbally. This is where your creativity might come into play. If clients seem unable to put their feelings into words in session, you might suggest that they write something between sessions or perhaps bring in a monologue from a play that conveys what they lack the words for. I had a client who had trouble discussing her feelings directly but would write and perform her poetry as part of our work. Another client played his instrument in a session to express something that he couldn’t verbalize. Even if you are not trained as an art therapist, you can encourage artistic clients to find alternative ways to communicate emotionally. 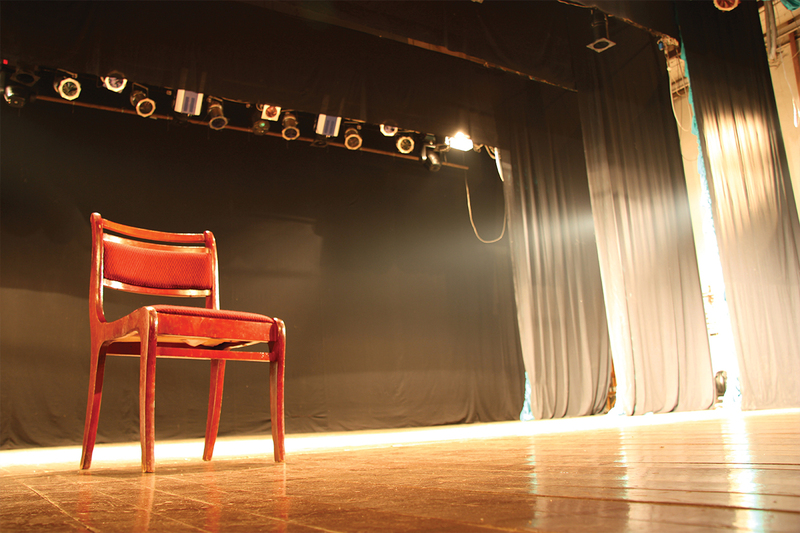 Actors and dancers might ask you to attend one of their shows. Musicians may want you to come to a recital or a gig at a bar or club. They might bring in CDs or DVDs of their work and ask you for your assessment. These requests bring up thorny issues for counselors. Do you bend your boundaries to attend a performance? Do you accept a recording, and if so, do you agree to listen (or watch) and offer an opinion? I don’t think there are universal answers to these questions. As always, if you’re unclear on what’s best for your client (and your professional boundaries), seek consultation or supervision. Counselors know that the “why now?” question is always important, but it could be useful to know that performers often seek help at certain predictable points in their lives. Psychiatrist Peter F. Ostwald, in his article “Psychotherapeutic strategies in the treatment of performing artists,” suggested a few such points: at turning points in their careers, when they seem to be faltering or failing professionally, after a career-threatening injury and when they feel overwhelmed by career-related loneliness. One final set of challenges directly impacts your ability to work with this population. As previously mentioned, many artists don’t earn a lot of money and often lack health insurance. Scheduling also can be difficult because many performers work full- or part-time day jobs and have either rehearsals or performances during the evenings and on weekends. Counselors must be clear in their decision-making process regarding their desire and ability to be flexible with their fees, schedules or both. 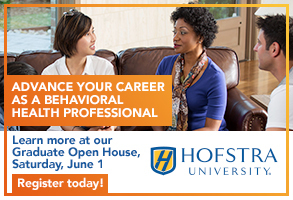 Adjusting your professional boundaries should be done carefully and deliberately to ensure that you are able to provide excellent care without resentment. Life in the performing arts has its rewards, but it is also a difficult and often frustrating way to make a living. The people who choose to pursue the arts professionally make many sacrifices to bring to life diverse forms of expression. There is exceptionally little glamour in show business, despite what you might see on an Academy Awards or Grammys broadcast. I am regularly amazed at the reactions I get when I tell people that I have played for Broadway shows, at a certain jazz festival or on a TV show. Invariably, folks will exclaim how much fun that must have been and how envious they are of these experiences. Yes, it can be thrilling to perform under certain rare circumstances, but most of the real work of artists is unseen, and most opportunities to perform occur under far-from-ideal conditions. I have tried to provide a comprehensive overview of the psychological and cultural milieu of performers, and to suggest some new ways to think about the unique issues that counselors may encounter with this population. If you provide mental health services to people in the arts, know that you are serving a group of people who truly need you. Performers contribute so much of themselves to make our world a richer, more vibrant place. As counselors, we are called on to perform the related task of helping to create a healthier, more emotionally stable environment for all. Bill Harrison is a licensed professional counselor on staff at the Claret Center in Chicago, where he specializes in the treatment of performing artists. Contact him at counselorbill1@gmail.com. Academic and clinical interest regarding the intersection of comics and health care is high right now, which is no surprise to readers of Counseling Today. The July 2017 issue of Counseling Today featured a cover story titled “‘Cultured’ counseling” that provided perspectives on the clinical utility of integrating pop culture (such as video games, movies and comic books) into counseling practice. Similarly, both the American Psychological Association and the American Medical Association have devoted time and journal space to covering the topic, signaling that mental health counselors are not alone in wanting to explore the positive impact that comics can have on delivery of services. Case in point: The 2017 Comics & Medicine Conference was held this past June in Seattle. An eclectic cross section of cartoonists, medical doctors, mental health professionals, teachers, students and librarians from across the globe attended. The conference theme, “Access Points,” explored how comics can open new gateways to health care “because of its ability to provide a platform for marginalized voices.” Because this worldwide chorus of marginalized voices often includes people with mental health diagnoses and comorbid disorders, comics can also help bridge the gap between client and counselor when utilized correctly. As the body of literature regarding the therapeutic value of comics grows, the question is raised: Can comics be used as an intervention apart from traditional bibliotherapy? The focus of this article is to explore the rationale for creating comics with clinical clients, gain guidance from practitioners who use comic creation as a direct intervention and provide resources for those who are interested in learning more. The bulk of recent literature regarding comics and mental health has fallen squarely into the realm of bibliotherapy, focusing on using graphic novels and memoirs to help clients better understand their own challenges. Although strong clinical evidence exists to support using existing commercially available materials to help articulate client experiences, a growing number of health services practitioners are advocating that patients and clients begin writing and illustrating their own stories. Ian Williams, a comics artist, writer and physician who co-founded the Graphic Medicine movement, has suggested that revisiting trauma using sequential art can provide a form of catharsis for the creator, citing examples of prominent figures in the graphic memoir field such as Art Spiegelman (Maus) and Katie Green (Lighter Than My Shadow). His assertion is that the combination of visual art and narrative structure allows clients to reauthor their experiences in ways that simply talking through them do not. This same hypothesis was the driving force behind the Defense Advanced Research Projects Agency (DARPA) using graphic novel software to assist combat veterans in dealing with symptoms of posttraumatic stress disorder. This initiative led to DARPA commissioning California-based software developer Kinection to design the Warrior Stories Platform for use with veterans. Similarly, several public schools across the country have begun using online comic-creation software to help address ongoing behavioral issues for children with special needs. In addition, educators and social science researchers alike are using comic creation to help children tackle difficult real-world issues (such as making positive choices in the face of peer pressure), develop a more robust understanding of historical events (such as the Holocaust) and cultivate sound safety habits when interacting with friends and strangers. 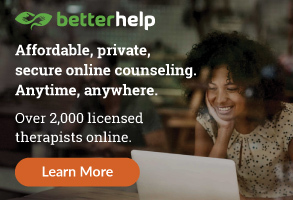 As professionals from a multitude of disciplines create comics with others to help bridge the gap between educational content and personal experience, clinical mental health counselors can do the same with their clients. Scott McCloud, renowned cartoonist and educator, once defined comics as “images deployed in a sequence to tell a story graphically or convey information.” Given that comics are a storytelling medium, it is perhaps not surprising that the therapeutic act of creating comics falls under the scope of narrative therapy. Having a physical representation of an internal experience can be valuable because the idea of containment is extremely important when dealing with sensitive parts of a client’s experience. Each panel in the comic sequence functions as a figurative container for potentially overwhelming psychic material, allowing clients to approach the issue with a feeling of control or mastery that might elude them otherwise. The comic format also allows clients to represent themselves, others and even their disorders pictorially through the creation of avatars. Possessing a clear sense of best practices when creating comics (or any other type of art) with clients can help clinicians avoid therapeutic pitfalls and unintended confidentiality issues and create a safe space for the creative process. 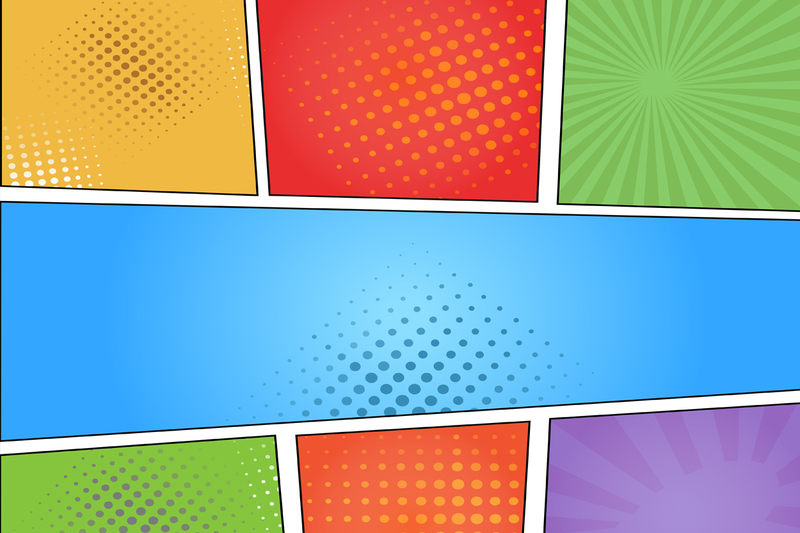 What follows are suggestions and considerations for therapists who are interested in beginning to integrate comic creation into clinical practice. If the space available is not amenable for making art, this might require an investment in additional furniture that could be cost prohibitive. If an existing space and furnishings can be rearranged to accommodate the activity, it is also important to think through whether the space can remain in that configuration for clients who are not making art. If it can’t, it might be necessary to reserve time to reset the office between client sessions. This holds true for comic creation too. India ink can be spilled, markers can be dropped onto couches, and erasers can leave behind rubberized crumbs. The reality of potential messes requires that practitioners be thoughtful about what materials they are willing to use during a session. Invest in quality materials. Investing in quality materials will allow clients to stay focused on the therapeutic process instead of struggling to work with dried-out markers, inkless pens, stubby crayons or dull pencils. Additionally, having a selection of higher-grade media to choose from can signal clients that you are taking the art-making process seriously and being thoughtful about the materials with which you are asking them to work. “Clients can take a bad art-making experience personally,” Bloom observed. There are also many opportunities for clinicians to gain firsthand experience with art therapy and comic-making interventions by utilizing local resources. Many art therapists, including those interviewed for this article, offer community-based workshops for clinicians and laypeople alike. Connecting with local therapists who regularly use art-based interventions can also provide valuable networking opportunities and potential ongoing clinical support as counselors begin to integrate art into their practice. Read comics … and talk about them. If you are reading this article, chances are that you have some interest in the medium of comics, which exists apart from the therapeutic value of making comics. Exposing yourself to a wide range of commercially available comic books and graphic novels can help expand your understanding of what comics are — or ultimately can be. Talking with clients about their own beliefs regarding the medium can put them more at ease, which might allow them to experience greater gains from creating comics as part of the therapeutic process. Additionally, displaying client art might unintentionally create a false standard of how comic-making interventions “should look” for clients. Because some clients are more artistically inclined than others, certain clients might be reluctant — or even outright refuse — to create art because of insecurity around their abilities. Self-portraits drawn by Kurt Shaffert (top) and Katharine Houpt. Allowing clients to create comics without the pressure of comparison is essential for therapeutic work to occur, and that should be the goal of any intervention used with clients. Counselors should also know that any art created during a therapy session receives the same protections under HIPAA (the Health Insurance Portability and Accountability Act) that any other physical media (such as audio recordings and written materials) would. It can be difficult for those who aren’t art therapists to begin working with a medium such as comics because the sheer amount of available materials can be overwhelming. The following list serves as a brief primer on texts that might be useful when beginning to integrate comic making into an existing practice. These recommendations were provided by the clinicians interviewed for this article and are grouped into separate categories for clarity. Although interest regarding the intersection of health services delivery and comics is at an all-time high, empirical research regarding the efficacy of comic creation as a direct intervention is largely absent. This might dissuade practitioners from introducing comic making into their therapeutic work, but it is important to remember that every testable intervention begins with a theoretical question, moves to the gathering of qualitative/anecdotal evidence and then transitions to quantitative outcome measurements. 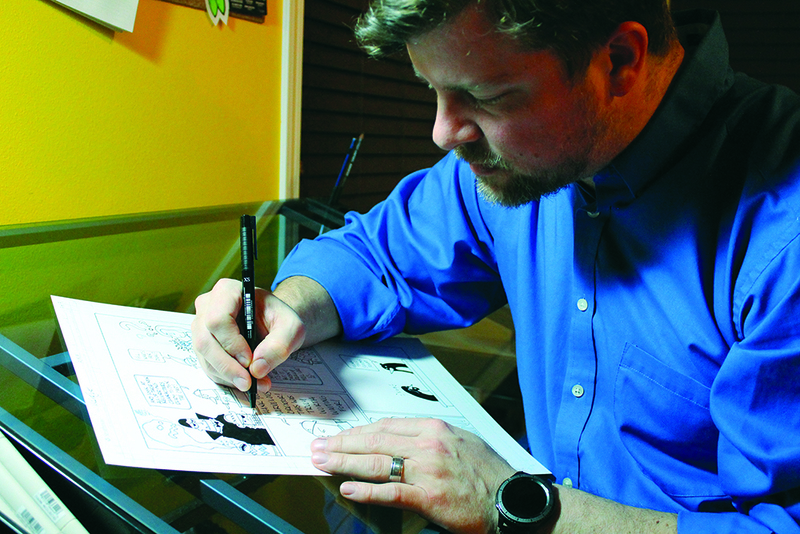 Author Devlyn McCreight, LMHC, draws a comic at his art desk. Photo by Sarah McCreight. Devlyn McCreight is a licensed mental health counselor and owner of McCreight Psychotherapy & Clinical Consulting LLC. Contact him at devlyn@mccreightpsychotherapy or through his website at drdevlyn.com.